uMarketplace Suite will transform your Magento store into a powerful, robust and feature-rich online shopping mall with multiple independent vendors selling their products via a centralized product catalog and vendor specific uniquely themed microsites. Enable your vendors to add and edit their products, manage inventory, interact with customers, manage their accounts and fulfill orders - all within intuitive and easy to use Vendor Portal. 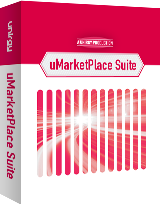 uMarketplace Suite gives you all the tools necessary to configure and automate drop shipping workflow, variety of ways to integrate with vendors, many shipping options, track and manage orders and shipments, charge commissions, pay vendors, promote products and sellers, and fully configure and control customer/vendor interaction. Based on uDropShip - our extension that powers many thousands of successful Magento stores, uMarketplace Suite is a proven, complete and paramount solution for Magento based multi-vendor marketplaces. Flexible Workflow for Multi-Vendor Product Catalog and Order Management. Single checkout for products from multiple vendors with multiple shipping origins per single order. Automatically generate purchase orders for vendors based on customer sales order. Vendors can add and edit their products, images, assign applicable categories and attribute values, update inventory, manage shipments and shipping options, update account data and communicate with customers and store admin. Attach purchase orders, shipping labels and packing slips to vendor notification emails. Ability to ship using vendor shipping accounts. USPS with possibility to integrate with other carriers. It is suggested to start using this add-on together with uMarketplace Suite. If installed later, existing POs will not be available. 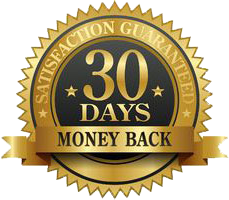 Flexible Vendor Account Signup/Approval Process. Upon approval of vendor application the system could automatically create vendor account, issue temporary user id and password and email vendor a link to Vendor Portal with all required information. If MicroSite Pro add-on is installed, and multiple vendors are associated with the same product, only 1 vendor can edit the product info. Please complete the form below in order to request demonstration. We will only use your information to contact you about this product. Are you a Developer or Merchant? How soon are you looking to implement marketplace? Which Magento version is your project on? If you have any questions about the features or functionality, send us a request and we'll be glad to explain!